Arsene Wenger is known to be keen on Southampton man Morgan Schneiderlin, and the midfield general has just dropped a huge hint about his future at St Mary’s, as reported by BBC Sport. The 25-year-old is a top target for Arsenal, and has been identified as the perfect player to fill the void in the Gunners’ midfield that has existed for so long. Having been tipped to make a big money move last summer, Schneiderlin found his transfer blocked after a number of other high profile exits from the club. Arsenal are still keen on the tough tackling Frenchman however, and are keeping a close eye on his situation at Southampton. 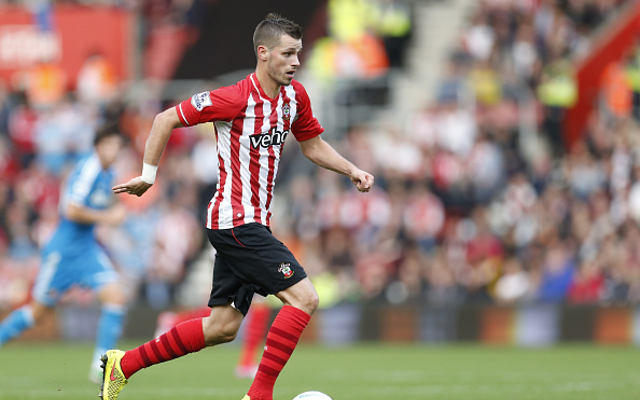 With the South coast club currently occupying the Champions League spots, Schneiderlin is unlikely to jump ship this January. He isn’t ruling a summer switch out however, and seems to suggest that if Southampton aren’t among Europe’s elite next season then he could head for the exit. “[I] can’t say what’s going to happen in the summer,” he said. Arsenal are really in need of a new defensive midfielder this winter, but Arsene Wenger may be willing to wait if he thinks Schneiderlin could be available this summer.